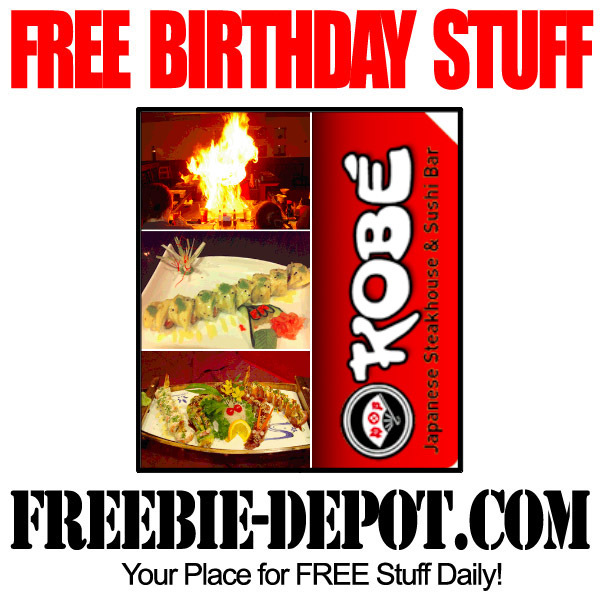 Kobe Japanese Steakhouse & Sushi Bar locations in Central Florida (Orlando, Tampa, Clearwater) have an incredible FREE birthday promotion. Experience the best Japanese dining experience Florida has to offer at Kobe Japanese Steakhouse! Specializing in teppanyaki dining, their chefs will dazzle you and your guest as they skillfully entertain and cook your dinner right in front of your eyes. Enjoy up to $25 off a single entrée, basically a FREE meal, with a purchase of another dinner during the month of the Reward member’s birthday month. Automatically loads every year to your account on the first day of your birthday month. ID required along with Kobe Rewards card. New Reward members must apply at least 8 days before their actual birthday in order to allow sufficient registration time. Expires on the last day of your birthday month. No exceptions, replacements, or extensions. I have not received any notification about a free birthday meal. This could be because I had to change my debit card as I was hacked into my bank account. How do I get installed again. My birthday is on Saturday September 23rd.